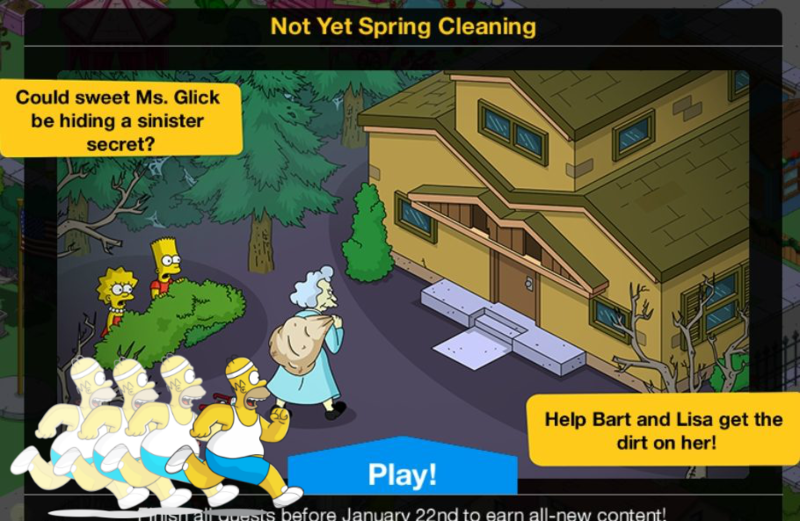 2019 in TSTO has started with a very weird questline. 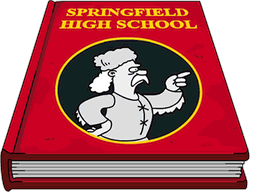 Alice Glick has finally arrived in Springfield, and she’s brought a very weird mystery with her that the kids need to solve. The Mystery of the Brown House. Bart: Ah! Thanks to global warming, spring is already in the air. You know what that means? Bart: It means we can swindle old ladies into paying us to do their spring cleaning! Milhouse: Aw man, the only thing I hate more than cleaning is swindling. So much pressure! Bart: Tell ya what: I’ll handle the swindling, you do the cleaning. Bart: There’s Mrs. Skinner! We’re supposed to be cleaning her house right now! Hide! Bart: Whew, fortunately this Brown House was right here within running distance. Milhouse: And it has an asthma inhaler in it, to help me recover from that short distance running. Bart: Yeah, Brown Houses always have just what you need in them. It’s almost like they can read your mind. Milhouse: It can read minds? I better not think of anything scary. Oh no, trying not to think of scary things is scary! Bart: We finished cleaning your Brown House, Ms. Glick! Lisa: We?! I did all the cleaning, you and Milhouse just played Frisbee with Ms. Glick’s many, many doilies. Bart: That’s not true — I also blew my nose into one. Master Brown House: Milhouse. 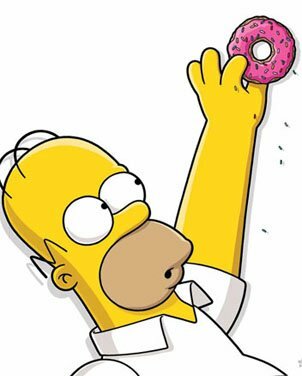 Milhouse, come to me. I have all the Puppy Goo-Goos you want. Milhouse: Well, I only want one, so… okay! I’ll investigate this ominous voice. Alice Glick: Now now, children. I have enough candy for everyone. There’s no need to fight. Bart: We’re not fighting. And neither of us wants the candy. Alice Glick: Fine, more for me! …is what I would say if I could still eat candy. Now take some! Bart: All right, lady, we cleaned the house. Where’s the dough? Alice Glick: Sorry, I don’t have dough, only candy. Bart: No, I mean where’s the cheese? Alice Glick: I don’t have any cheese either. Lisa: Bart, stop using outdated, confusing slang terms for money and just ask for our payment! Alice Glick: For all your hard work, here’s two shiny quarters. Bart: Ugh, how are we gonna split that three ways? Lisa: I can’t find Milhouse anywhere. Bart: Maybe he got lost trying to play hide-and-seek by himself again. Lisa: He’d never be late to eat candy. I think something bad happened to him. Alice Glick: I’m sure your friend Milton will show up when you least expect it. Have some more candy. Lisa: Do you ever wonder why Ms. Glick has us clean so many Brown Houses? Bart: Maybe she’s a savvy business woman — she cleans houses and flips them for a tidy profit. I always wanted to say “tidy profit”. Makes me feel like a rich jerk from an ‘80s movie. Bart: Found it, right here on my phone. It’s like a curse/ritual sacrifice sorta thing. Bart: Why do you always want to piece together clues? So tedious. Lisa: Just tell me what you found out! Bart: Ms. Glick is actually hundreds of years old and has been sacrificing kids to the magical Brown House to stay alive. Lisa: That’s amazing! I’m proud of you for figuring it out, Bart. Bart: Some other kids figured it out and posted it to the Internet. Alice Glick: Say, would you kids like some more candy? Bart: Why? So you can lure us into that house and sacrifice us? Alice Glick:What?! I– how did you know about that? Alice Glick: Oh… I was planning on slowly revealing my scheme as I tortured you. Lisa: I know, right? It takes all the fun out of this mystery. Bart: Does it? It’s just less story to slog through. Alice Glick: Well, I’m still going to go through with my ritual! Bart: “Eye of newt”? That’s so played out! Where do you even get that anymore? Lisa: It’s a tried and true trope, Bart! It’s classic. Now let her go through her ritual! Alice Glick: There, all set up. Bart: Finally! Can we get on with it? We all know how it’s gonna end. Alice Glick: Oh? How’s that? Bart: You’re gonna try to sacrifice us, Lisa’s gonna figure out how to stop you, we save Milhouse and life goes on. Lisa: As much as I hate to say it, he’s right. I mean, it’s not like this is Halloween where we can die. Alice Glick:True, but it’s the only Glick-centered update I’m going to get, so I’m going to make it count! Alice Glick:Wow! The house devoured them. Even I’M surprised that worked! Lisa : So… what? We’re dead? That’s really not supposed to happen. Master Brown House: But I need to feed on children’s souls in order to grant Ms. Glick eternal life. Bart: Whoa! You can talk? That would have been fun to see in this update before now. Lisa: Look, if we’re dead then people will get mad and stop tapping… and then this whole game will be dead. 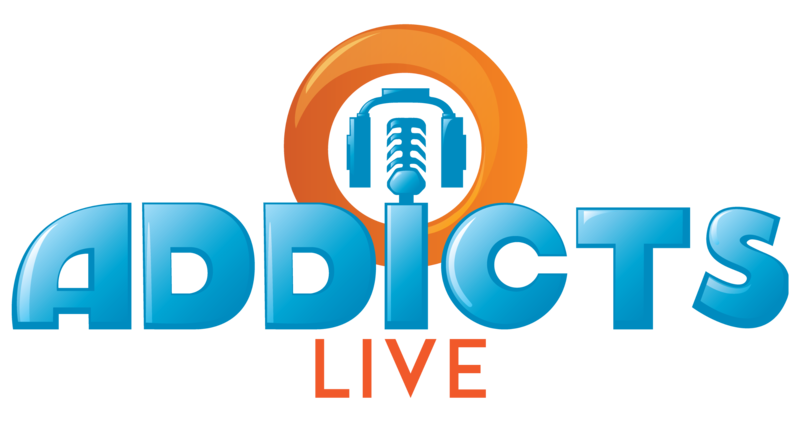 Alice Glick:But I don’t want that! I just got here. I never even got to just walk around and do meaningless tasks. Master Brown House: Look, all I really need is children’s souls. I could keep those and let the children go. Lisa: Works for me, I guess. Bart? Bart: Sure. I made a big stink about losing my soul once, but that was a long time ago. Master Brown House: Great. The children get to stay and I get my dinner. Well that’s certainly one for the TSTO weird column for sure! 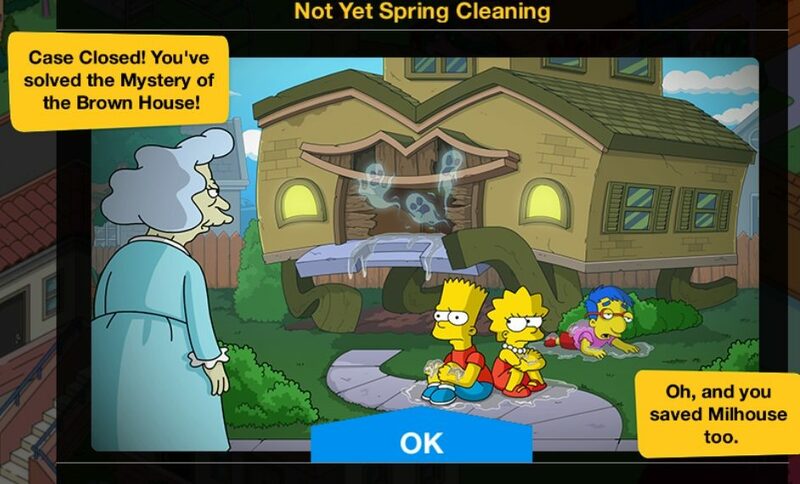 I especially like how the tried to clean up saving Milhouse at the very end…just a little yellow box on the questline finished screen. What are your thoughts on the dialogue? Did you read it the first time or tap right through? Thoughts on the first event of 2019? Sound off in the comments below, you know we love hearing from you! This entry was posted in Mystery of the Brown House, Not Yet Spring Cleaning, Tips and Tricks, Updates and tagged Alice Glick Mini Event, Alice Glick Questline, Mystery of the Brown house MIni Event, Mystery of the Brown House questline, New Year 2019 Mini Event, New Year 2019 Questline, Not Yet Spring Cleaning Mini Event, Tapped Out Mini Event, Tapped Out Tips and Tricks, The Simpsons Tapped Out, TSTO 2019 Events, TSTO Addicts, TSTO Mini Events, TSTO Tips and Tricks. Bookmark the permalink. Help please. I got a message yesterday about the brown house event. The tasks have all been completed. I think its some sort of animation thats suppose to happen but im not sure. There is not a brown house video in the “film reel”. Does anyone know what this is about or what im suppose to do? I did enjoy this because its too Halloween icky type stuff. I enjoyed this event. I read most of it. There were a few times when I was at work and tapped through so it was nice to come here and see what I missed. Thanks guys! Also, I updated, about 1.4gb and now I can’t zoom out on the town so I can only see about 4 building at a time. This was a brilliant event. Get two new houses, a university and a lovable character who had a great episode and maybe a few minor appearances and didn’t have to do much at all. i wish all events were this length tbh even if it was just a part 1 and part 2 kinda deal with a break in between. The grinding of the events last year were just stressful. Anyone else feel like TSTO releases random content that were probably pitches that didn’t make it to an event? This seems like a rejected treehouse of horror character, building, and quest line. I enjoyed it, but it seems like they’re releasing random stuff that doesn’t quite fit. Ya, house eating the kid’s soul. Ya even the Wendell questline, and the college they’ve been teasing seem out of place. Like they started building things and were pitching ideas and those ideas never came to fruition but they’re sitting on all these things they built for their pitch. Then we have all these things in the files with no event attached so they slapped a questline and wholesaled it. I don’t mind. I’ve enjoyed them all. Since I can’t get into the game anymore, this is my first time seeing it. Super weird. Nana uses a house to devour children’s souls and live forever. Ok… Random. Maybe we are getting a palate cleanser with a super sappy Valentines coming down the pike?